Currently, on the EBSCO eBook platform you can download ebooks off-line. Unfortunately, as the majority are single-user ebooks, this means no one else can access the ebook for 7 days. In order to make accessing fairer to all, we will be temporarily suspending off-line downloading on the EBSCO eBook platform later this week. This move also brings EBSCO ebooks more into line with ebrary ebooks: single-user ebrary ebooks cannot be downloaded off-line either (multi-user ebooks on ebrary can). The ability to download, email or print .pdf pages or sections (in most cases up to 60 pages) on EBSCO eBooks platform should not be affected. Three applicants for every K-12 teaching job in B.C. January 31st, 2012 by Jennifer O. | Comments Off on Three applicants for every K-12 teaching job in B.C. Young people interested in a teaching career need to know there are three applicants in British Columbia for every one position that becomes available in the K-12 school system, says Education Minister George Abbott. “We need to be honest with students … about where their opportunities in the future may lie,” the minister said in an interview after a stalemate in teacher bargaining raised questions about whether B.C. needs to match higher salaries in other provinces to retain teachers. Abbott says that’s not a concern because there are 2,700 to 2,800 teachers looking for work in any given year but only about 800 job openings in schools. The over-abundance of teachers is an issue Abbott said he intends to raise with the Association of B.C. Deans of Education (ABCDE) during a meeting set for spring. The teaching pool includes new graduates from B.C.’s nine teacher education programs as well as teachers who have moved to B.C. from other jurisdictions. According to the most recent statistics available, the former B.C. College of Teachers certified 824 teachers who moved to B.C. from out-of-province in 2009-10 and issued 475 statements of standing for B.C. teachers relocating to other jurisdictions. Abbott acknowledged that an education degree provides students with skills that can be used for other types of work but said it’s important for students to have the facts about job opportunities, given labour shortages in other fields. Until he discusses his concerns with education deans, Abbott declined to comment on whether his government would consider a cap on enrolments in teacher education programs. “It would be premature for me to form any conclusion,” he stated. 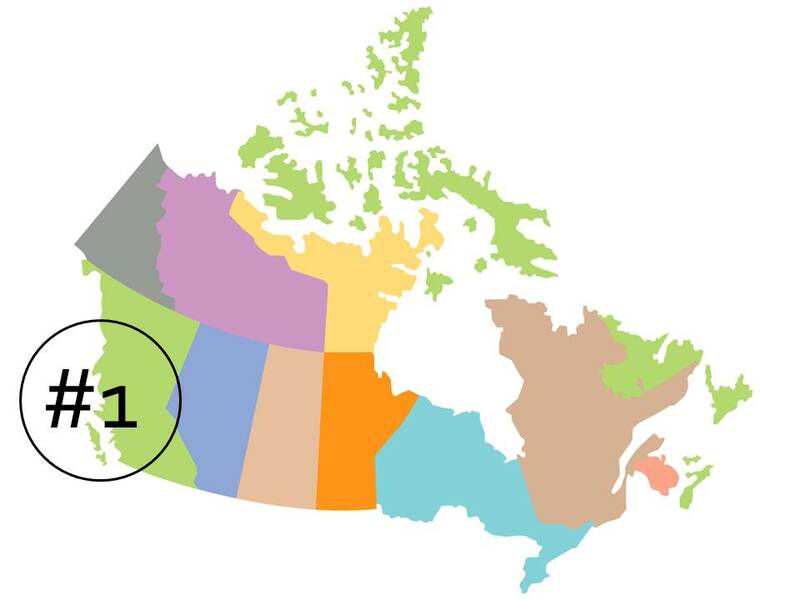 Posted in Articles of interest, BC schools, BC teachers, BCPSEA, BCTF, British Columbia, internship programs, ministry of education, teacher assessment | Comments Off on Three applicants for every K-12 teaching job in B.C. Your eyes are not playing tricks on you. Yes, our cIRcle home page received a slight makeover yesterday as a kick-start for 2012! 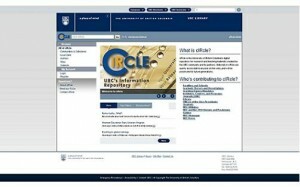 We invite you to take a few minutes to explore cIRcle, UBC’s Digital Repository at: https://circle.ubc.ca/. As you get acquainted with our new look, please send us your feedback at: ubc-circle@interchange.ubc.ca. With your keen eye for detail, you will notice that we added some navigational tabs above our cIRcle image carousel. These tabs provide direct access to our ‘About cIRcle’ website which, in turn, provides you with details such as how to get started with cIRcle. You will notice that the previous Features such as the “Image Carousel” (images linked to news items), “News” (latest cIRcle & UBC news highlights), and “Did you know?” (quick facts about cIRcle & more) are still available. But, we have updated our “Top 3 items” listing to the “Top 3 downloads” (most frequently downloaded cIRcle items) of the past 7 days. Our 2012 makeover aims to enhance the user experience with the improved “Browse” and “Advanced Search” functions. Under “Browse”, you can now browse “By Dept. Affiliation”, “By Thesis Program”, “By Campus (for Theses)” categories. Under “Advanced Search”, a few more search types have been added to facilitate your searches thus enabling you to find cIRcle items more easily. The new search types are by: “Dept. Affiliation”, “Thesis Copyright Date”, “Thesis Program”, and “Campus (for Theses: UBCV, UBCO)”. 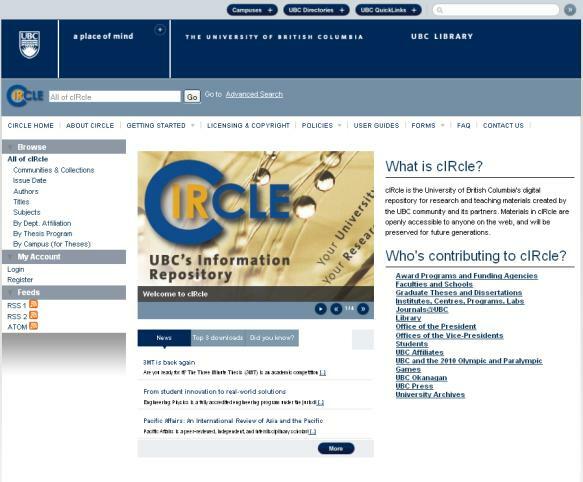 We hope you will enjoy your scholarly research experience using cIRcle, UBC’s Digital Repository at: https://circle.ubc.ca/ and don’t forget to send us your questions or comments to: ubc-circle@interchange.ubc.ca. We would love to hear from you! As of today, cIRcle has over 39,000 items! You can check the growing number anytime by clicking on “Issue Date” directly under the “All of cIRcle” section under the “Browse” category on our cIRcle home page. The SAE Digital Library access is not working for the moment. We are talking to the vendor and hope to get this sorted soon. Sorry for the inconvenience. Stay Tuned. Join us at Authorfest on Thursday February 2, 2012 Hebb Theatre, 2045 East Mall, UBC Campus, Vancouver 4:30-6:00 pm. This year’s Authorfest features BC children’s authors Linda Bailey, Robert Heidbreder and Ellen Schwartz. You will also meet other wonderful BC children’s writers Tanya Kyi, Kathryn Shoemaker and Julie Burtinshaw. It promises to be a wonderful event. Come and bring a friend! ~from the Vancouver Children’s Literature Roundtable website. I have used the above slide in a number of presentations to make the point that British Columbia is leading Canada (perhaps even the world) in the professional use of social media in K-12 education. I freely admit I don’t have the statistics to back up the claim – there are simply more teachers, administrators, parents, trustees, and others here, who are logging into their blogs, Twitter, Facebook, and YouTube accounts in the name of professional learning, than any other jurisdiction. 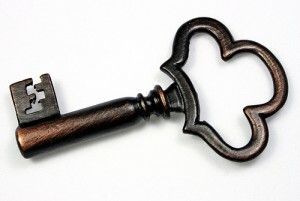 In the past year we have moved from several dozen blogs around K-12 education, to numbers in the hundreds, with representation in every area of the education system. The #bced tag on Twitter is one of the most engaged with conversations about the ever-changing education profession, and there are many other social sites having these conversations as well. The conversations around the profession itself are very interesting. In social media, ‘role’ becomes less important; there is a flattening of society and it is ‘ideas’ that have increased value. There are also incredible opportunities to reflect, share, and learn without the limitations of geography. I could go on, and there have been many others who have covered the ground about the value of social media for educators, and how Twitter and blogging can be extremely powerful in professional development. This is true for those interested in education in BC, but it is also true of other professionals around the world. So why has BC moved so quickly and taken such leadership in this area? As mentioned, I have no statistical proof, but a series of ideas as to why BC is the leading jurisdiction using social media to engage in the profession of education. Summon, the Citation Linker and the Catalogue will catch up to these changes over the next few days.